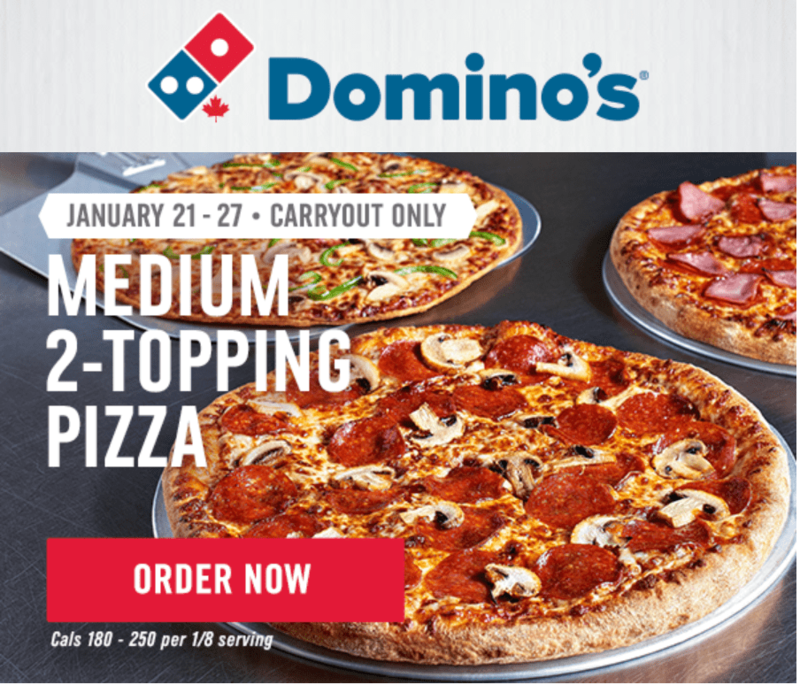 Domino’s Pizza Canada has an awesome offer available now until January 27, 2019, where you can get a Medium 2-Topping Pizza for only $5.99 each, carry-out only. To get this offer, use Promo Code 93012. You can upsize your 2-Topping pizza to a large for only $8.99, using the Promo Code 94012.